View large size image without frame. This image takes place in an art gallery. 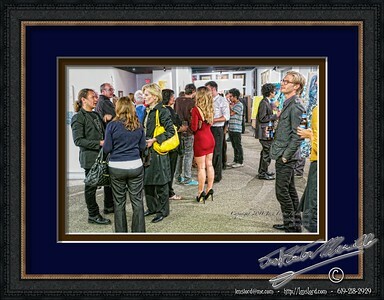 The gallery is the Alexander Salazar Fine Art gallery, located on the corner of 7th Avenue and Broadway in San Diego. Although the name is specific, the name is redundant. While looking at this image it is obviously the image of a beautiful woman in her element as she swims in the sea of averted gazes. The people of polite society look deep into her eyes as they speak with her, but everyone sees her. She is beautiful, the lady in red. 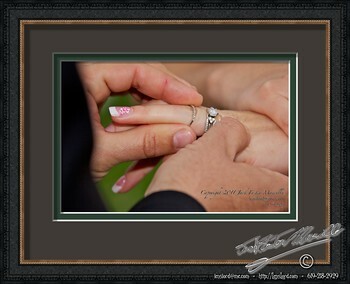 Julie Ashton and Jory Lasser were wed.
Good luck to the couple on their journey. May your lives entwine and be an amazing trip that is secure for all. And, I wish you both all the hapiness that could be possible between a woman and a man, for the rest of your lives. Link to ➽ All Julie and jory’s galleries. Saturday, the second of April, I shot an event for Alexander Salazar. It was the first year aniverssary of his gallery. 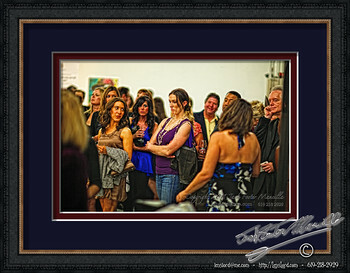 It was a great event for a party, and the event was also a charity auction, raising money for children. This is an image of a woman looking at one of the images. The image was eventually bought by the man on the far right, but I just love the image of this woman standing in judgement. The entire gallery of the images can be seen here.